We appeal to you to take emergency measures with the goal of the immediate and unconditional release of 34-year-old Nadia Savchenko, a Ukrainian citizen, kidnapped and imprisoned for more than twenty months in the Russian Federation. The Russian authorities have made a mockery of civil rights, international law, and their own Constitution. They show disdain for the international community and the Minsk Protocol alike. So far, all efforts of the international community have proven unsuccessful. 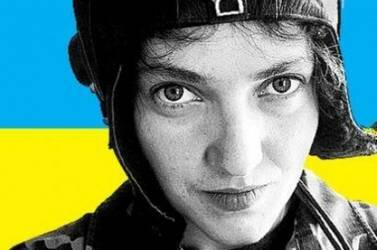 On March 4, in protest against the proceedings of the Russian court, Nadia Savchenko announced a full hunger strike, refusing even liquids. Our ability to save her life will test the effectiveness of international diplomacy and our commitment to European values. 28-10-2016: Pressemitteilung des Dachverbandes der Ukrainischen Organisationen in Deutschland e.V.